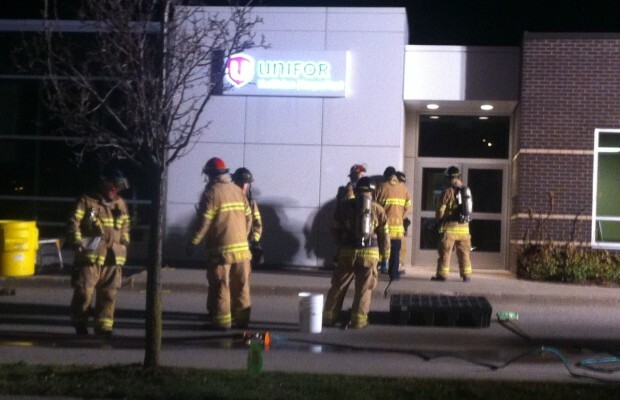 Fire fighters attend the Unifor office at Pine Valley Blvd. in London in response to a suspicious package, April 16, 2014. Police have determined that a suspicious package delivered to a Unifor union hall at 140 Pine Valley Blvd. in London is not dangerous. London police say they received a call about the package around 4:35pm on Wednesday. The police bomb unit and London firefighters were then dispatched to the scene to check the contents of the package. London police have not released any further information.